A woman opens up about her early struggles and frustration with her mother who has dementia to where she is today, more in control. Patsy Chia with her mother. Patsy Chia’s caregiving journey with her mother who has dementia has had its ups and downs. She has had to deal with her paranoia with “missing money” and her aggressive words and actions, and the hard decision for her and her family to place her in a nursing home. However, today, she has not let dementia get the better of her. She is more in control (and certainly more knowledgeable about her mother’s condition) and ready to take on a more active caregiving role and to let her mother live out her days in her own home rather than in a nursing home. Patsy is also embarking on a book on her journey (to be completed in October of this year) to bring awareness to others. Tell me more about your mum and her early days? My mum, Mary, came from a poor family. Her parents were farmers and could not afford to send her to school. She had five older brothers and two younger sisters. She learnt to fend for herself at a very young age after losing her mother at age seven and being sold to another family as a “servant girl” at age nine. Mary grew up as an adolescent with lots of hardships and suffering. Though uneducated, she was intelligent, street-smart and learnt how to survive through many difficult circumstances. She was a role model for me and she made countless sacrifices for my happiness. She helped raise my two sons while my husband and I held full-time jobs. She was also a very good cook and helped my family care for our home. She also loved playing mahjong with her friends to help herself unwind over her free weekends. Can you share when you first discovered your mum had dementia? 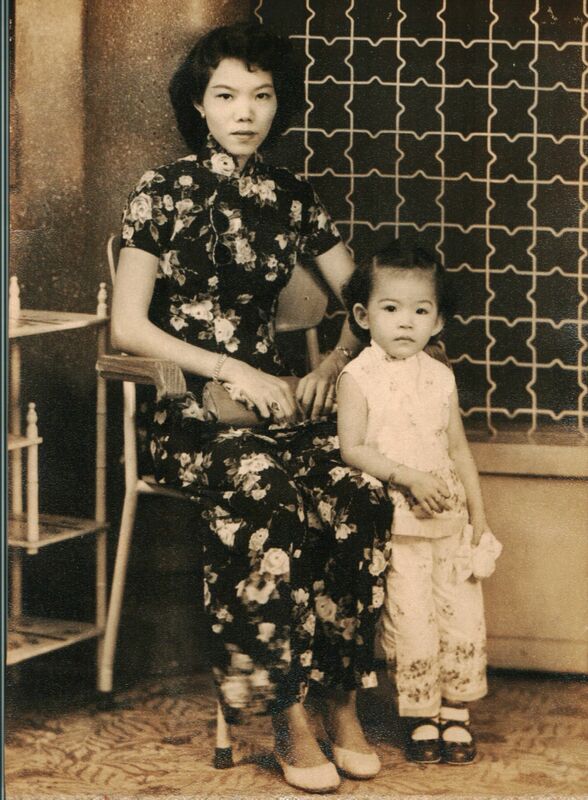 In 2006 when my mum was 72 years old, I started noticing that she was increasingly forgetful and losing interest in her favourite activities like cooking and mahjong. I was concerned about this change in behaviour and persuaded her to see a geriatrician. But there was a long queue to get a referral from the polyclinic and the earliest appointment I could get was six months later. I was not aware of what dementia was at that time. It just seemed like my mum was finally getting on in age although she was still physically very fit at that time. Can you share how things worsened including sharing a specific instance? My mum has always stayed with me since my childhood and helped to look after my two sons under the same roof so that helped as I could observe her. In 2006, I started to observe a significant deterioration in my mum’s mental condition. She had frequent memory lapses and became increasingly paranoid about her possessions. For example, she frequently accused our family members of stealing her money and clothes when she had in fact forgot where she had placed them or imagined such a loss. Sometimes, she would question us every half hour and none of our answers and valiant searches for the “missing items” would satisfy her. As much as we loved her, our body was tired and our mind was exhausted. On the other hand, my mum’s paranoia seemed to give her boundless energy and she became increasingly aggressive in her words and actions. It was a nightmare for our family. Christmas 2006 was the turning point. My mum tried to use force on us as she went into an uncontrollable rage about her “missing” money. She resorted to using a knife to chop down my bedroom door in the middle of the night. We had no choice but to admit her to a psychiatric ward. 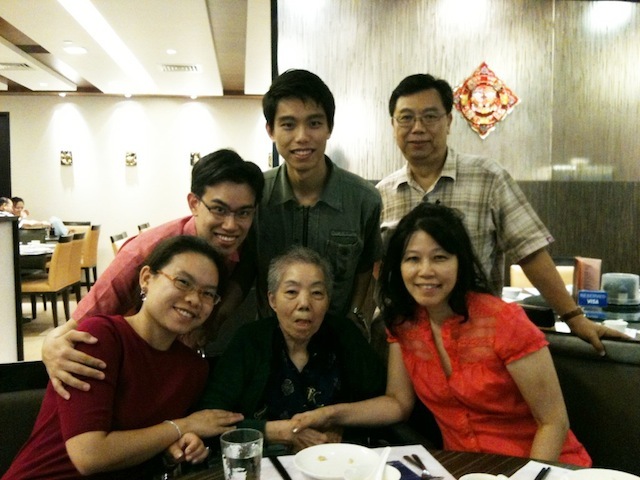 Following a week of observation, the doctors diagnosed that my mum was likely to be suffering from dementia, which could have been triggered by a previously undetected minor stroke in her brain a year before, and advised that we seek psychiatric help for her. We later learnt that dementia can manifest in different ways and that my mum had exhibited a more aggressive form of dementia. Family picture: (first row) Patsy's daughter-in-law, Jeanette, Patsy's mother and Patsy, and (back row) sons Shaun and Leon, and Patsy's husband, George. The decision later was to put her into a nursing home. How difficult was this decision for you and your family? Putting my mum into a nursing home in January 2007 was a very hard and painful decision for my family and me. I felt guilty of ‘abandoning’ my mum. But at the same time, I knew little about dementia and felt helpless not knowing how to care for her and to help her get well again. Are you concerned that dementia may be hereditary (however, some reports say for the most part, the majority of dementia is not inherited)? As I approach 60 years old, I am not to going to spend the rest of my life worrying if I will get dementia. Moreover, I am confident that my family is now more prepared to care for me, both physically and mentally, should I suffer from dementia; as compared to how we had responded to my mum’s onset of dementia seven years ago. Perhaps there will also be better treatments or even a cure for dementia in the future. We should always look at the bright side of life, and enjoy and treasure every moment as life is precious. To do so, we need to maintain a healthy mind, body and soul. However, now you have decided not to leave her in the home. Why this decision? My mum had been living in a nursing home for the past seven years – that is a long time especially when you have dementia. Her activities are limited because she is wheelchair-bound and needs assistance with her daily tasks such as feeding and bathing. For my mum, the hours pass by slowly but surely and she has very limited time spent with visitors. I believe she hopes to hear a familiar voice as time passes. During this period, I have felt guilty about putting my mum in a nursing home, especially as I do not spend enough time to visit her there. But I know that under the care of her doctors and nurses, my mum has responded well to her medication and her mood disorder has been kept under control. My mum has just turned 80 and as her state of dementia has stabilised, I think it is time to fulfil my mum’s wish to have a home of her own. It has been her dying wish for many years to have a place of her own. I foresee more time to look after my mum as I approach my own retirement. We are also now able to buy a home for my mum and have greater awareness and confidence to find a suitable caregiver that will be dedicated to her care. I also plan to bring my mum to attend day activities for the elderly. These steps would be more affordable than a long-term stay in the nursing home. 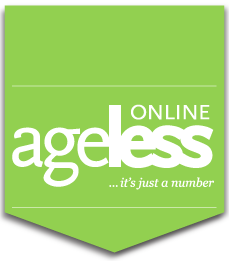 More importantly, we hope to help my mum age gracefully with dignity, love and peace. 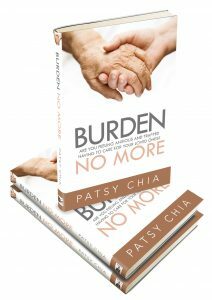 Patsy's book due out in October is called "Burden No More". I also understand you are planning to write a book about your mum. Why and what do you hope to achieve? Yes, I am writing a book called “Burden No More” about my experience looking after my mum, and it to serve as a legacy for my children and [future] grandchildren. My grandchildren will not have experienced how wonderful a person my mum was before she suffered from dementia. Hence, I would like them to use this book to learn about their great-grandmother and how we have cared for her. I would also like to use this book to share my experience as a caregiver and inspire others who are looking after elderly folk that suffer from dementia. I can understand the struggles and frustration that they have to go through – financially, physically and mentally – and I hope that my story will let them know that they are not alone in their caregiver journey. What advice would you give to other caregivers who are looking after loved ones with dementia? I suggest that caregivers continue to express their love and patience to their loved one with dementia, even when he/she finds it difficult or no longer responds to you. Caregivers also have to be humble and resourceful to seek help from others, for you cannot do this alone. And most importantly, have faith that your care will lead to a better outcome for your loved one. If you could do it all over again, what if any would you change? I don’t think I would change anything. Whatever actions/decisions were carefully reviewed and thought through at that point of time. Yes, situations and circumstances do change. That is why there is a constant need to review, adapt and make changes in our life. This could result in a change of priorities or becoming open to new options. In my case, I am more prepared to provide home care for my mum now that I have a better sense of the quality of care that she needs. I am more in control of my own life now. You have two children. If you had dementia, what would you tell them to do? Even if I don’t remember you anymore. As I embark on a new journey to be the best caregiver that I can to my mum, I pray for strength, wisdom, patience and endurance to be able to fulfil my responsibilities as her daughter. Your mummy will feel the love, warmth, peace and laughter from the family and the great-grandchildren even more, in her own home. Am sure, with these, her health will improve further. 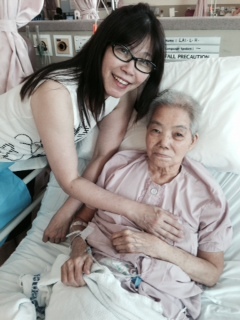 Mum is now out of the nursing home and settling down very well with her caregiver at her home flat. Yes, she is improving so much through interaction with us especially with a better daily nutritional diet. Yes, we do miss her wonderful yummy food too. Brings back memories of happy good times. They’ve been looking for a cure, but so far have found nothing. The search for an Alzheimer’s drug has been almost a complete and total failure. Experts are saying that over 99 percent of the research they’ve been spending years – and billions of dollars on – has gone nowhere. But could the answer be right there under our nose? And I mean that literally. Right under our nose in the pungent aroma of dishes that use the spice turmeric. Because there have been some very important studies done on this spice that might help those showing signs of both Alzheimer’s and dementia. Researchers found that the antioxidant and anti-inflammatory properties in turmeric may be powerful enough to break up the amyloid plaques in the brain that contribute to Alzheimer’s disease. That could be due to the fact that turmeric is an antioxidant powerhouse that also has anti-inflammatory effects. And it could also explain why the rate of Alzheimer’s in India (where turmeric is widely consumed) is among the lowest in the world. We’ve been hearing good news about turmeric for years, but this new research looked at thousands of studies, data and articles about the spice. And what it uncovered is that this remarkable root has more than 600 “potential preventive and therapeutic applications”. The health benefits of turmeric and its active ingredient curcumin – the spice that gives curry its familiar aroma and yellow hue – have been found in a new study to be as effective as 14 different drugs. The researchers also compared the effectiveness of turmeric to some big-selling drugs, and what they found was next to astounding. Not only did turmeric do what these conventional meds claim to, but it did so without risking any of the deadly side effects that these drugs bring along with them. Cholesterol – A 2004 study found that turmeric reduces bad cholesterol, helps fight plaque buildup in the arteries and can be as effective as Lipitor. Several studies have found that turmeric is as effective as steroid drugs in reducing inflammation. A study published in 2011 found the spice to be just as good in relieving depression as popular antidepressant drugs like Prozac. Research discovered that turmeric is an effective blood thinner, like aspirin, but with none of the side effects. A 2009 study found that turmeric can be thousands of times more effective than drugs for diabetes such as Metformin. That research also uncovered that turmeric works in the liver to keep glucose levels down in diabetics. So keep enjoying curry and other dishes that contain turmeric, because the good news about this spice is bound to just keep getting better. Thank you for sharing on the health benefits of turmeric.